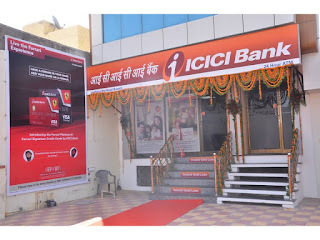 Jodhpur, Rajasthan: ICICI Bank, India's largest private sector bank by consolidated assets, today inaugurated a new branch at Pal Road in the city. This is the 17th branch of the bank in the city, the most among private sector banks. The branch also has an ATM at its premises, which is available 24X7. 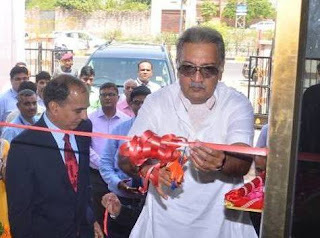 His Highness Maharaja Gaj Singh ji inaugurated the branch. Speaking on the occasion, His Highness Maharaja Gaj Singh ji, said, “I congratulate ICICI Bank for opening their new branch at Pal Road in Jodhpur. ICICI Bank is the most technologically advanced bank in the private sector banking space which is following the vision of our prime minister for digitisation of India. It is known for its best in class customer services. I wish the branch personnel all the best and am confident for ICICI Bank scaling greater heights in banking sector”. The branch will remain open from 9.30 AM to 4:30 PM on Monday to Friday. It will remain open on the first, third and fifth Saturday of the month from 9.30 AM to 4:30 PM. The branch will offer a comprehensive range of accounts, deposits and loans including savings and current accounts, term deposits, auto, home, gold, personal and business loans along with credit cards. The branch also offers locker facility and services for NRIs. ICICI Bank has 4,850 branches and 13,882 ATMs spread across the country as on March 31, 2017. It has more than 400 branches in Rajasthan. About ICICI Bank Ltd: ICICI Bank Ltd (NYSE:IBN) is India’s largest private sector bank by consolidated assets. The Bank’s consolidated total assets stood at US$ 152.0 billion at March 31, 2017. ICICI Bank's subsidiaries include India's leading private sector insurance, asset management, securities brokerage and primary dealership companies, and among the country’s largest private equity firms. It is present across 17 countries, including India.